While on a last minute family visit to Geneva Switzerland last week, I reached out to RoadTrailRun's contacts at Salomon's headquarters and Design Center at the foot of the Alps in nearby Annecy, France to see if I could visit. 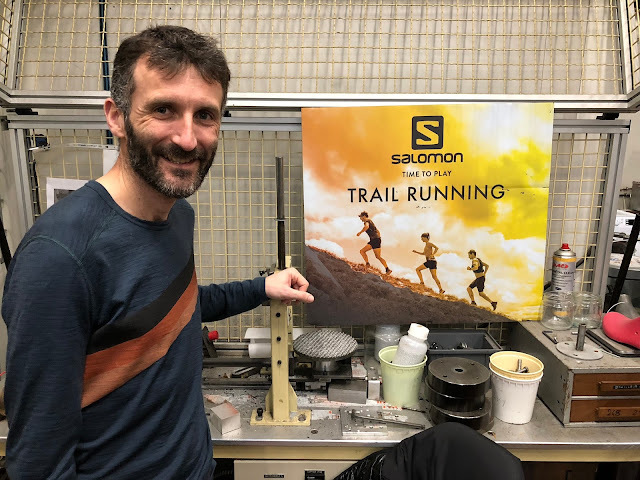 And indeed Greg Vollet, Global Marketing and Community Manager and the person also responsible for all Salomon Running athletes, camps, and events including the new worldwide Golden Trail Series enthusiastically told me to come by. As I speak fluent French, and always welcome the practice, language was never an issue with Greg or the engineers and technicians I met during my visit. We just rambled on and on! 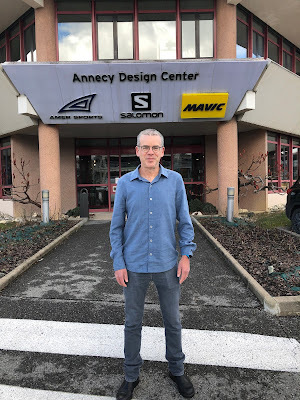 Salomon now owned by Amer Sports of Finland (Salomon, Mavic, Suunto) was founded in 1947 in Annecy by the Salomon family (Francois and son Georges) Their first products were saw blades and steel ski edges produced in a workshop in the old city. The Salomons were first and foremost craftsmen. From the ski edges, Salomon created non leather strap cable bindings in the 50's, the first heel release ski bindings in 1966, became the #1 seller of ski bindings in 1972, launched rear entry plastic ski boots in 1979 and then Nordic ski boots and bindings in 1980. And here is where the story gets personal. I nordic raced in the set up above, a low top classic boot as skate skiing was just emerging. 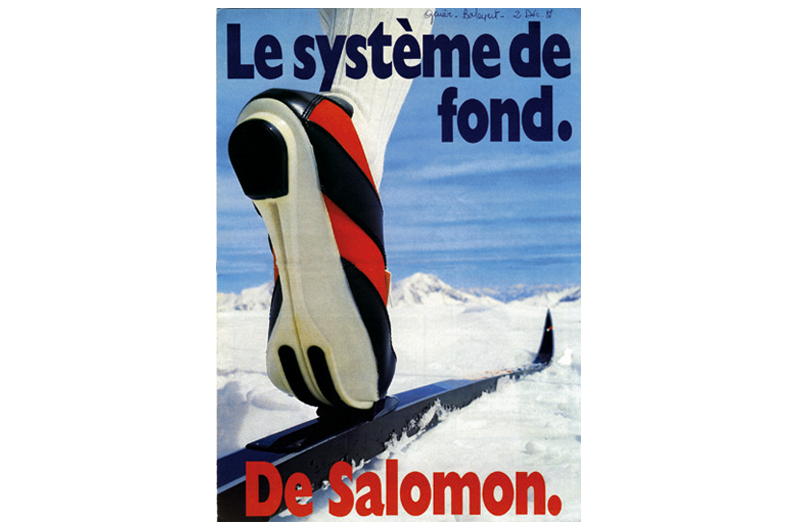 Up until 1980 or so Salomon was strictly a ski gear company. In the early 80's after a bad winter of sales with the company in some distress, necessity became the mother of invention. As founder Georges Salomon whose presence, image, and creative drive is still felt and seen at the Design Center, two decades after the family first sold the company to adidas often said: " I'm fascinated by what I will do tomorrow." 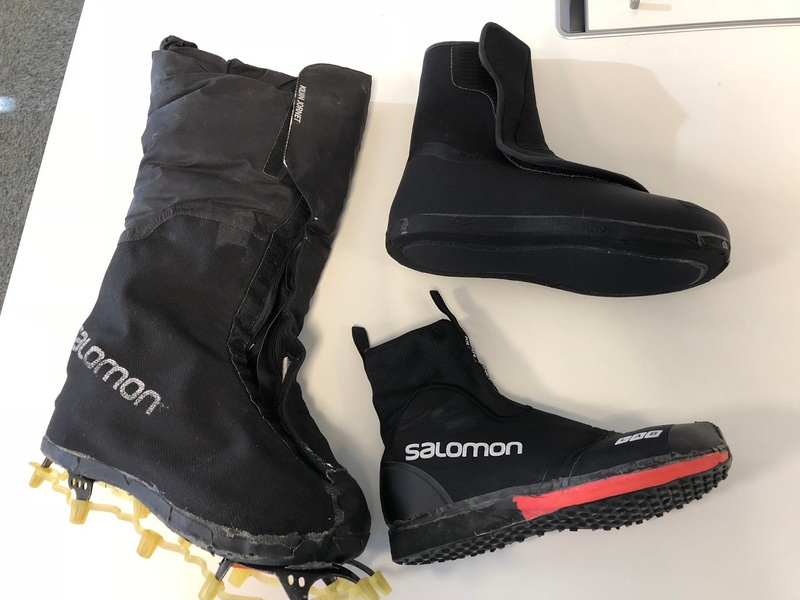 It turned out that Salomon had nordic ski boot stock left over. 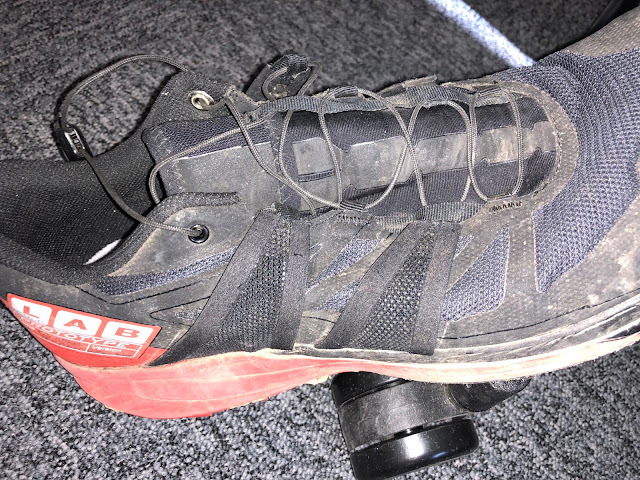 My original low top ski boot had gained a high plastic cuff for skate ski support as the sport changed radically over a few years. 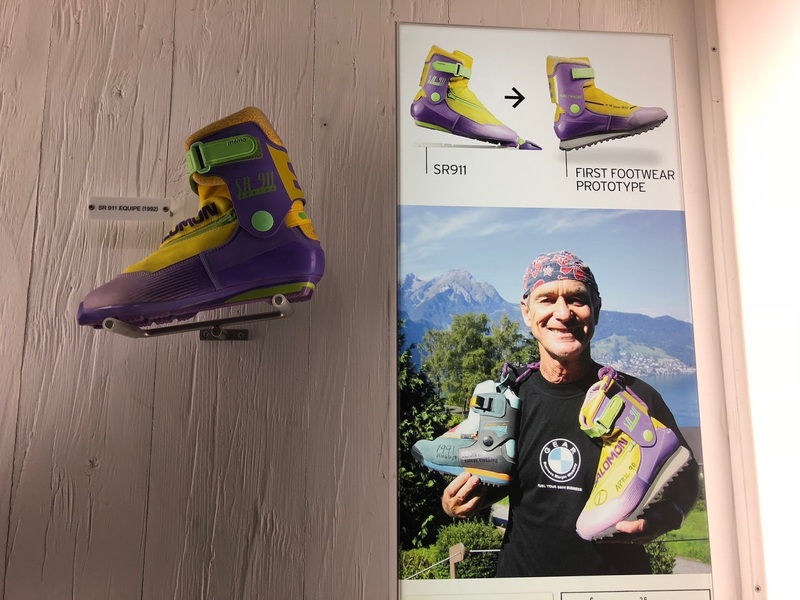 And there was an early adopter market ready for footwear innovation as multi sport adventure racing was taking off and skiers were among the first to take to this new sport. So what did they do? 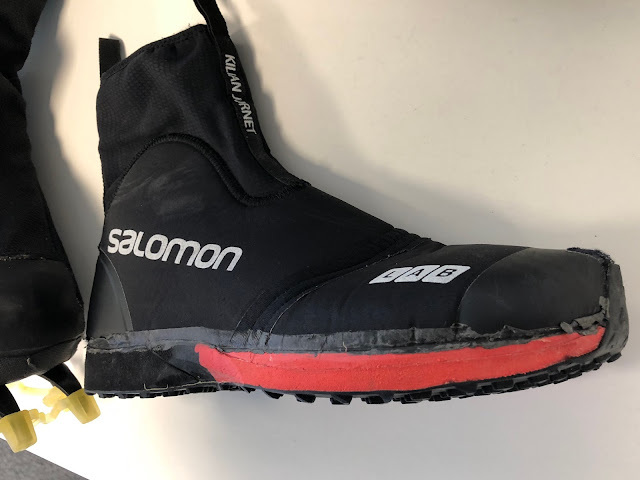 They put a midsole and outsole on the ski boot and Salomon was off into trail running and hiking! 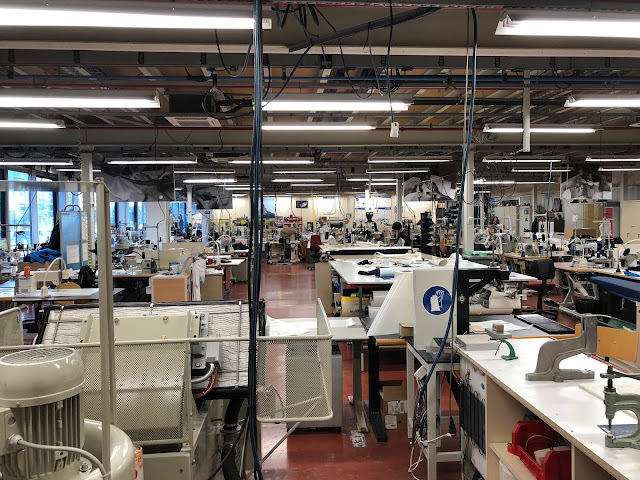 And to this day Salomon designs, prototypes, and even manufactures high end products entirely in house, at headquarters with creative, design, and production people side by side in the same space. This approach is a huge part of Salomon's ongoing success. Over a thousand people work in the Annecy Design Center and Headquarters. 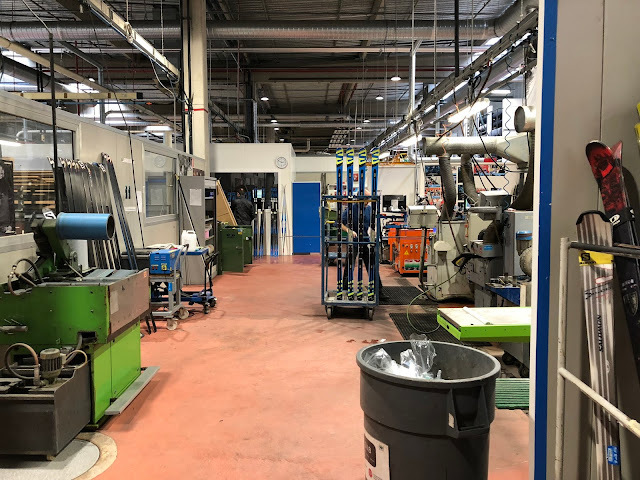 I saw the approach live with workshops for mold making, ski core woodworking, injection molding, carbon lay up, stitching, testing, ski base preparation, bike spindle production, and more spread over a large building with offices interspersed on the production floor. Ski Base prep area. There were dozens of such spaces including a vast area with hundreds of race ready Nordic and Alpine skis and boot parts where athletes select and are fitted on the spot. A famous free skier, maybe I should have known his name... was being custom built a boot from the parts bins, while around the corner a technician was mounting a wild pair of skis for him. Mavic bike wheels are endlessly spun on test rigs with heavy weights at the ends of spindles. 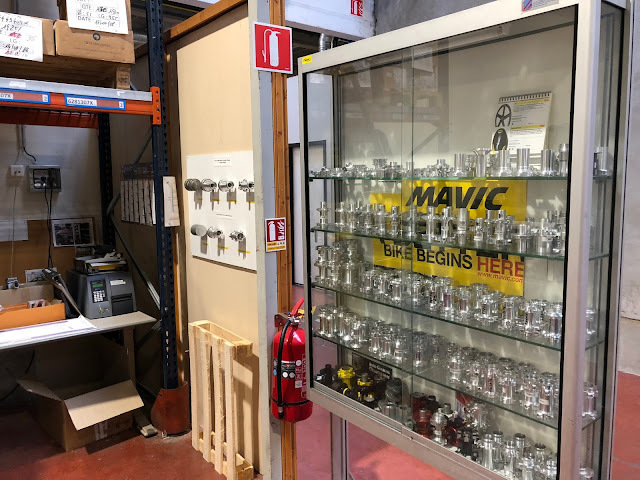 High end Mavic components are produced at headquarters. Greg shows me an abrasion testing rig in the Torture Test lab. Other tests include heat, pressure, multiple washing machine cycles, and repeated impact testing of midsoles and helmets. 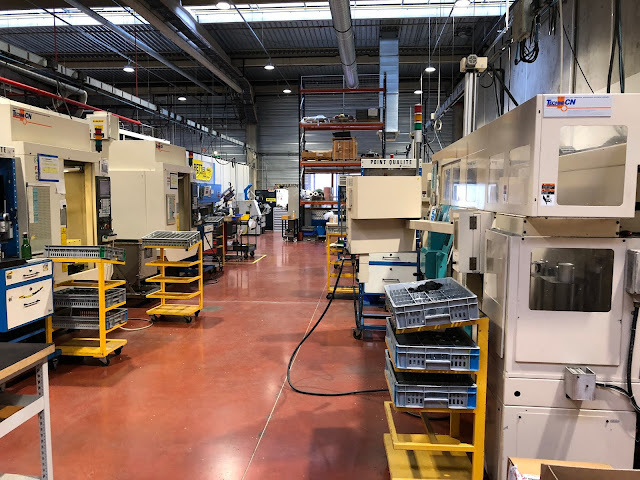 Once the concept and and prototypes are iterated and tested, and the production process is mastered ,the "recipes, these days digital files for all the materials, molds, steps, and machine settings can be transferred to larger factories with the confidence that the end consumer product should perform as the prototypes did. 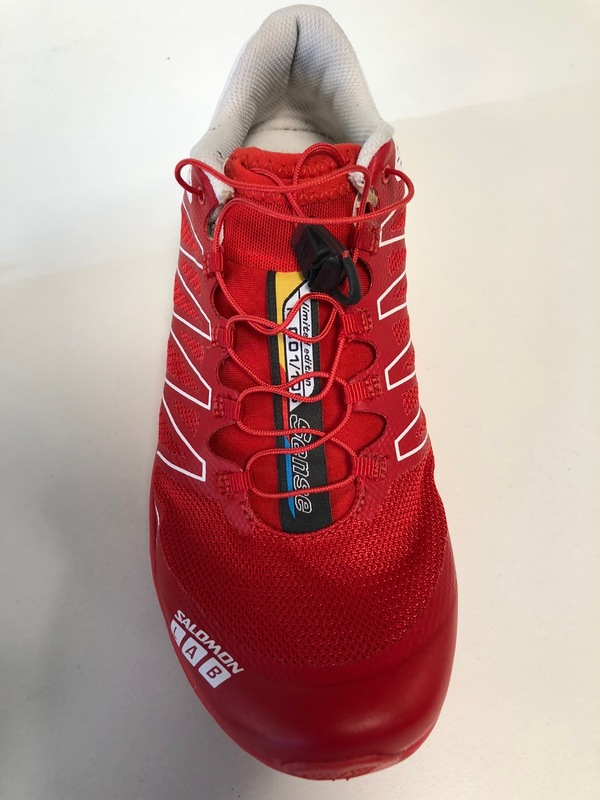 To eventually arrive at consumer products, ideas are developed with athlete input and custom prototypes are created on the spot for their needs in the famous Salomon S/Lab. 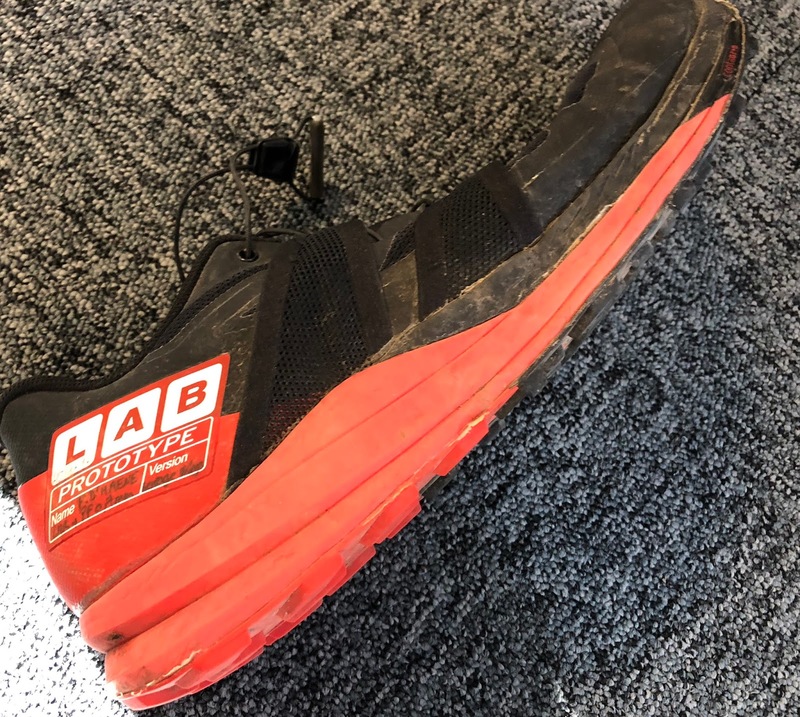 Greg described S/Lab as more of a process to serve athletes at the top level while developing new products and features than a separate lab at Salomon. There is advanced R&D lab I did not see. A total of 20 runners world wide are in the S/Lab program with other sports' athletes also in S/Lab. Remember the skis and gear above. Well Greg told me he encourages his S/Lab runners to train and enjoy winter as they wish, take a break. To make sure they have what they need they receive S/Lab gear from the other sports as they wish. He is a big fan of Nordic skiing as cross training for running and I agree. I saw a wide variety of prototypes being made for athletes including while I was there for Caroline Chaverot, 2017 UTMB winner. 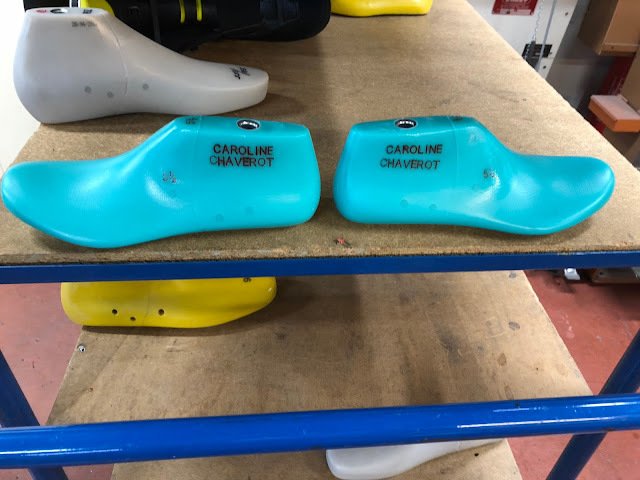 I couldn't take a picture of the shoe uppers being fitted to her last or other prototypes being assembled but above is her custom last, as all S/Lab athletes have. I saw many lasts of well know athletes and was amazed at the variety of foot shapes. For example Ryan Sands, a South African ultra runner has a small foot which is so wide (the width of an 11 in a size 8 or so foot) at the mid foot that it is impossible for him to fit in anything other than a custom shoe without over sizing. On the other hand Francois D'Haene, 2017 UTMB winner has a very narrow, bigger foot. 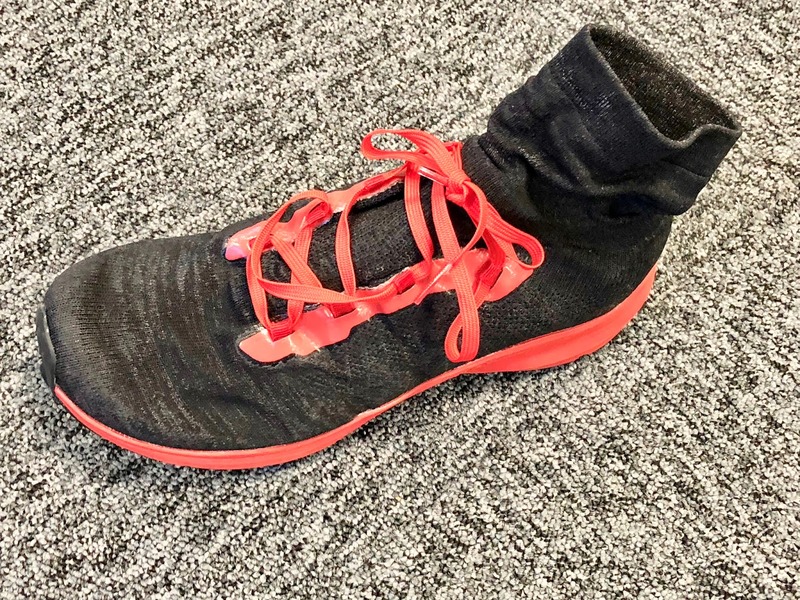 I did not see Kilian's last but heard he had a size 7.5 or so foot and I assume narrow too given how snug the Sense fits. 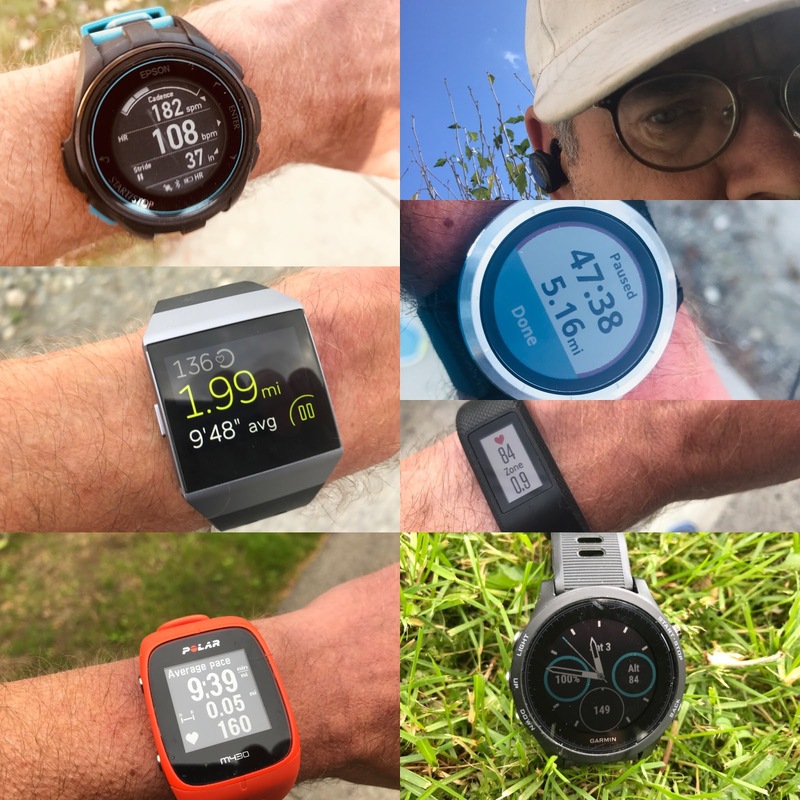 Some prototypes and concepts move to S/Lab products and then elements of S-Lab move into consumer products, while others never see the light of day. For example, I saw a Vertical K running shoe with removable wedges including a very, very high drop heel wedge and athlete had requested. The wedge did not make a difference in performance so the idea was dropped but the prototypes kept close at hand for future inspiration or warning. Executives and staff were literally yards away from the creation of new products from sketch to elite athlete ready products. Greg desk's in the open space offices is literally across a low partition from Patrick Leick's who is responsible for building S-Lab product for the runners Greg manages. Most interesting was the sharing of concepts across sports. Something that I saw repeated multiple times in my visit was the concept of a light carbon or plastic hull for foot wear. Nordic ski boots have a carbon hull and cuff for rigidity and light weight. Sister company Mavic has a cycling shoe with a similar carbon hull with slip in uppers (interchangeable for hot or cold weather), a pair of which I saw being assembled, The thinness of the outer carbon hull and the overall shoe stiffness was truly stunning. Priced at over $1000 a pair, and I can say hand made as I saw a pair being assembled. Kilian Jornet's Everest boot has a carbon lower hull. I was not allowed to take a picture of an example of the prototype plastic hull which I was shown, but I think it it looks different, more minimal than the one shown in the 2017 Competitor article about ME:SH here, photo below. 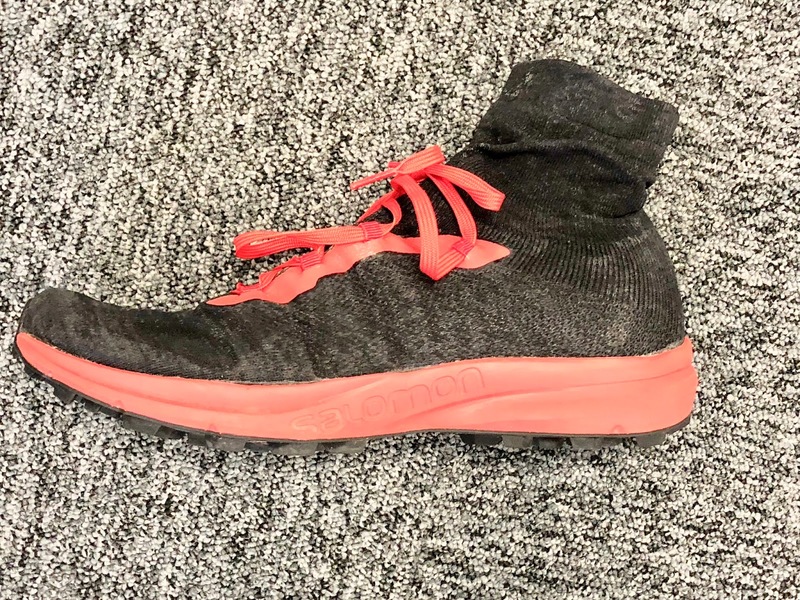 ME:SH launched in 2017 in one cell at Salomon in Annecy as a semi custom shoe where the runner could select: drop (6mm, 8mm, 10mm), midsole feel, type of outsole and then the upper knit based on the runner's foot shape height and width. Two types of fibers are used in the knit, one of which can be heated and melted differentially in proprietary process to create structure and support. While not readily apparent in the photograph above, I could clearly see a darker pattern to the knit and more structure at mid foot. Shoes will eventually be produced on each continent in a manufacturing cell with far fewer manual steps than conventional shoe manufacturing and less waste and shipping carbon footprint. After visiting the workshops and production areas Greg took me up to his office area to meet with Patrick Leick the project manager responsible for the S/Lab shoes of sponsored athletes. I had earlier briefly met Patrick in the workshops where he was finishing assembling, actually painting, Caroline Chaverot's prototypes. Wish I could describe her shoe or show a picture but can't. It was sweet. 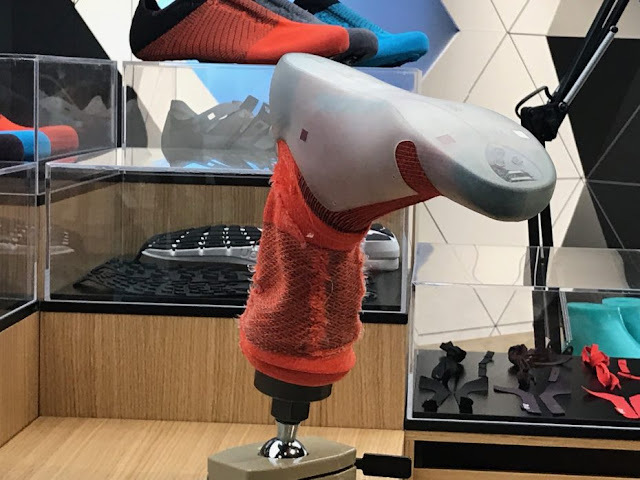 The office area was a shoe geek's dream with not only current prototypes ,but carved up competitors' shoes and a "museum" of greats, near misses, and flops like that Vertical K shoe. Not a formal place or a museum but a fast moving always evolving collection of inspiration, memories and the new on the way. Patrick was eager to show me his collaborative S/Lab creations. First he found Kilian Jornet's 2017 Everest record boot, the actual boot. Kilian gave the S/Lab the goal of reducing the weight of a state of the art Millet Everest boot by 50%. The team reduced it 40%. To move fast on the lower stretches a high top neoprene S-Lab Sense was created as the inner shoe. Essential to success Patrick said was wearing waterproof socks on the lower stretches and then changing to other socks for the final climbs. 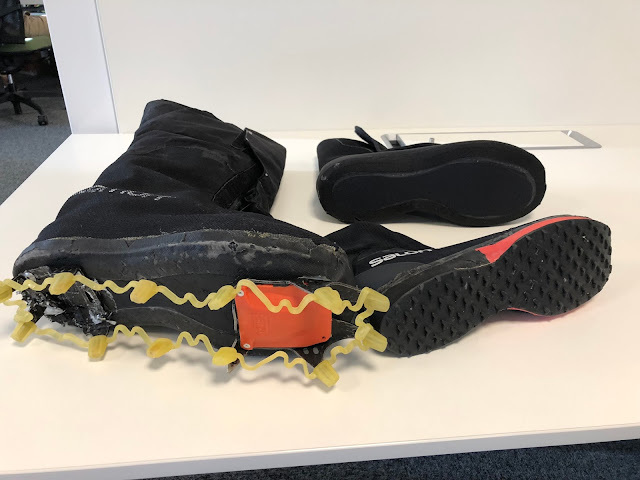 If the inner boot got wet from sweat Kilian's feet would have frozen. The next layer was an insulated soft boot. Over everything was the overboot. And yet again we see the carbon hull. The entire sole and lower side walls are carbon and super rigid. 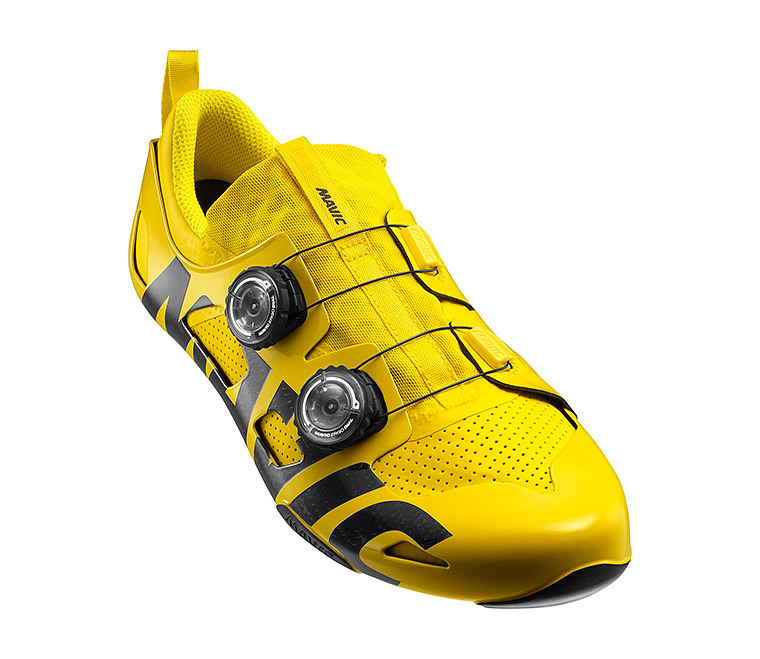 In fact, the crampons are mounted right on the bottom of the hull much as the bike cleat on the Mavic cycle shoe would be. What to improve? With all the black it would have been impossible to photograph, but inside the outer boot is a plastic loop on a strap attached to the hull to run the straps that hold the first 2 layers together over the foot. It is much like the reel which secures the inner shoe to the hull in the Mavic bike shoe. The short strap holding the plastic loop flopped down and was very hard to reach with cold hands. A small tab of velcro will hold it to the side of the hull in a future version. Francois D'haene is the 2012, 2014, and 2017 winner of the Ultra Trail du Mont Blanc, seen by many along with the Western States 100 as the most competitive of Ultras. 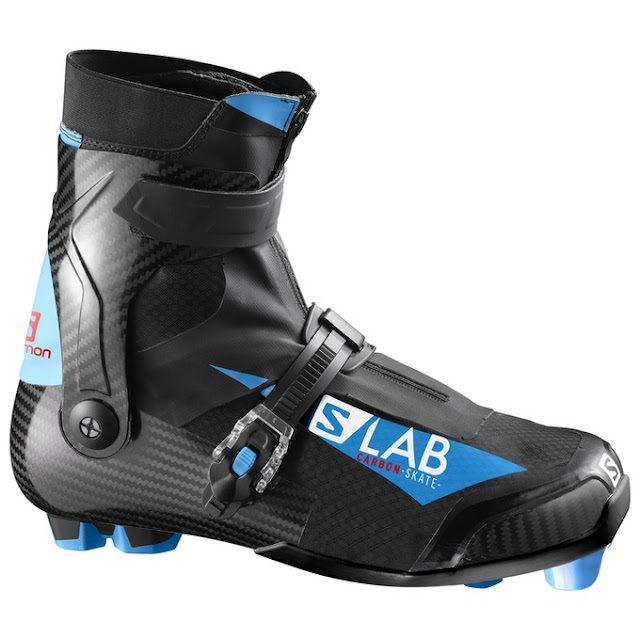 The S-Lab Ultra is his shoe while team mate Kilian rocks more minimal shoes such as the Sense and now ME:SH. 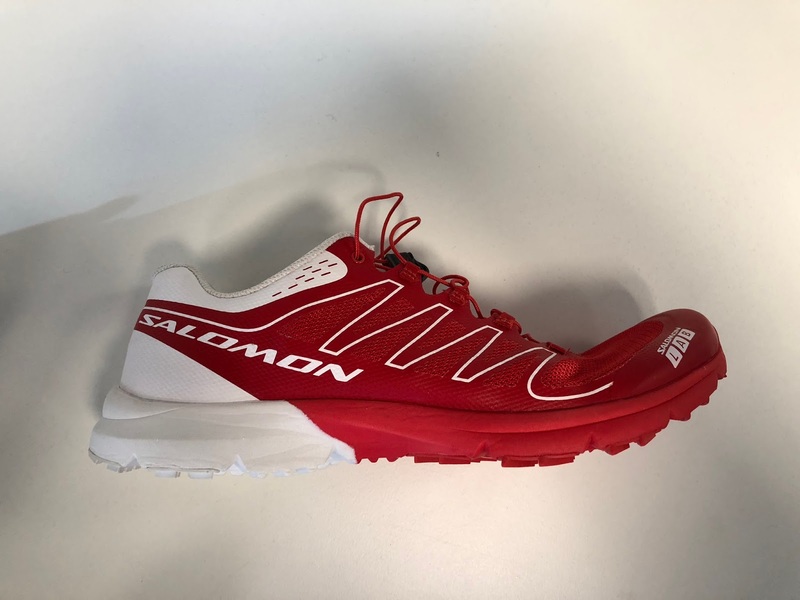 You might recall I said Francois had a very narrow foot... Well based on his input, Salomon modified the 2016-2017 shoe with side straps for better mid foot hold for his super narrow foot. 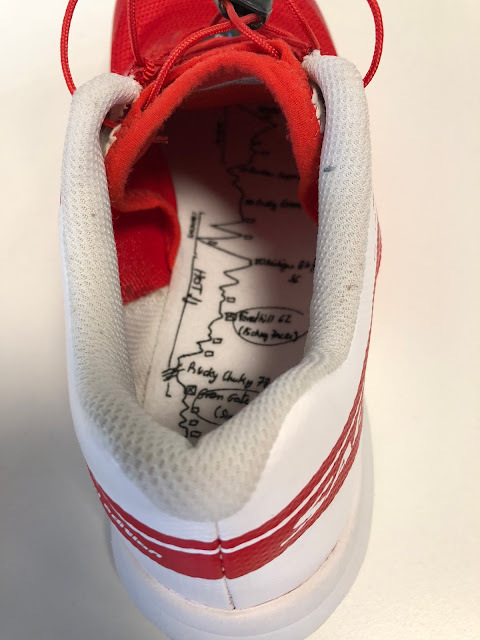 Every S/Lab prototype shoe I saw had the very cool label with athlete's name and shoe version. For 2018 the Ultra will clearly have more of Francois input. In fact he ran and won UTMB 2017 in a prototype Ultra 2 from the S/Lab. We saw the Ultra 2 at Outdoor Retailer. and previewed it here. 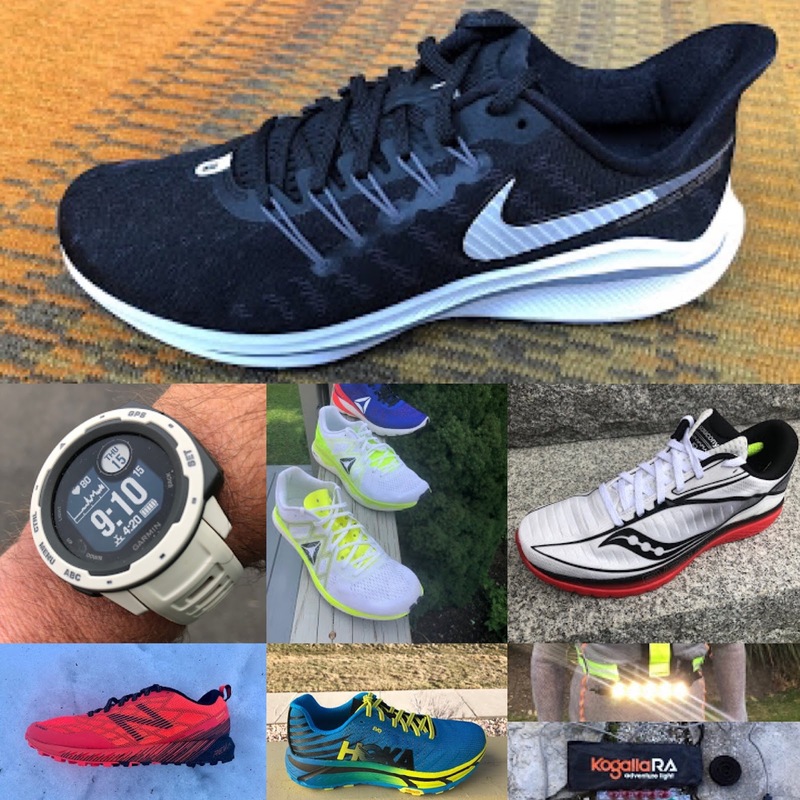 It is clearly a more substantial, and heavier shoe from top to bottom. The prototype's Sensi-Fit outer straps are incorporated and the upper is beefier with denser overlays. Underfoot a layer of PU is placed at the forefoot. 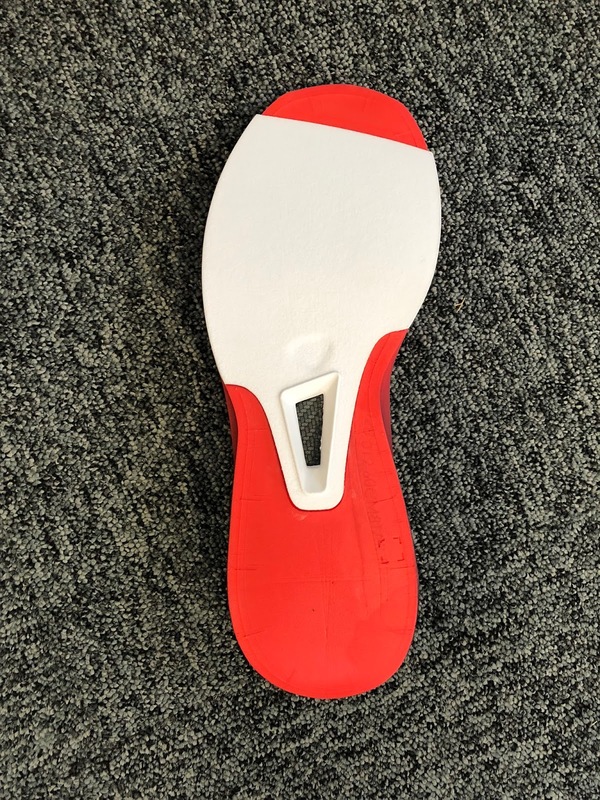 Francois wanted a consistent feel from mile one to one hundred and the characteristics of PU allow this consistency along with denser than EVA but not overly hard or soft forefoot protection and resilient rebound. Is Francois going to run in the exact shoe above? Not exactly... 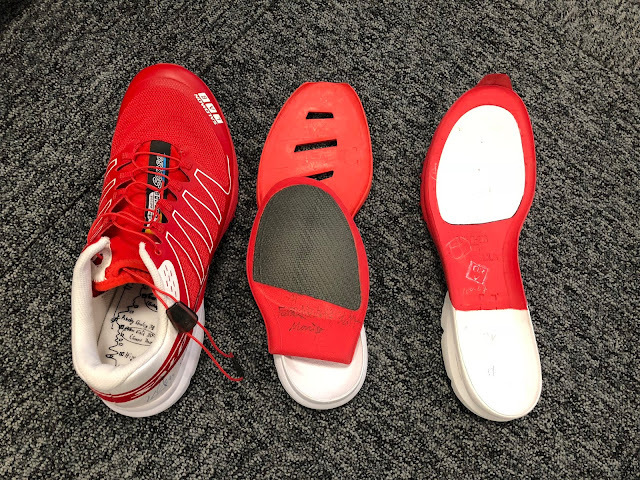 Unlike the production version PU insert (left above) and rock protection Pro Feel (right above) his insert is less extensive, basically not extending much behind the ball of the foot. 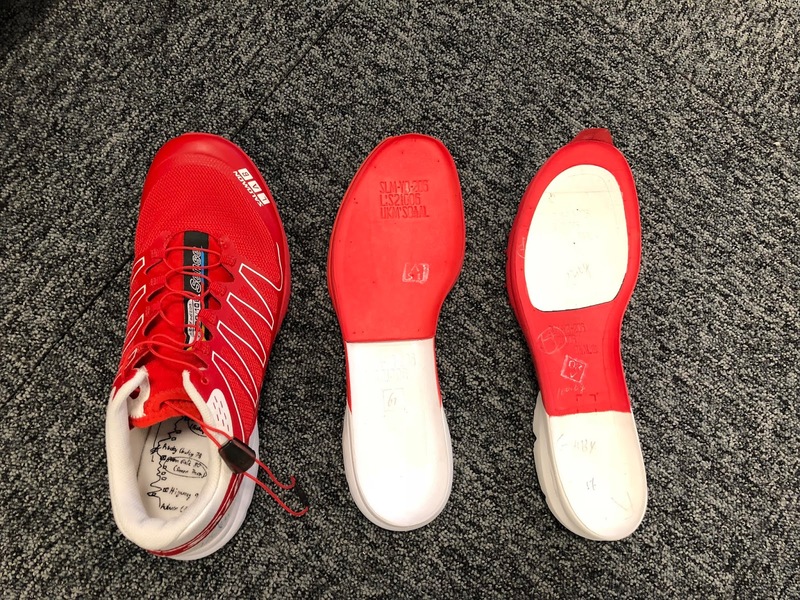 It was not clear if this was a preference or that he has not only that narrow custom last with a midsole mold designed for him as well, or that he prefers the simpler PU and Pro Feel strip which would also the S-Lab to more easily custom tailor the level of forefoot protection and cushion based on race conditions by making shoes with different inserts. The beautiful and iconic S/Lab Sense now in its 7th edition has been Kilian Jornet's race machine of choice. A very minimal, snug, light, agile shoe it was designed to Kilina's specifications and with lots and lots of his input. Patrick made a point of telling me this shoe's story as it the Sense worn by Kilian Jornet to most of his victories including the 2011 Western States 100 in the version shown below. Patrick dug around behind his desk and pulled out #001/108 of the numbered limited edition original Sense. 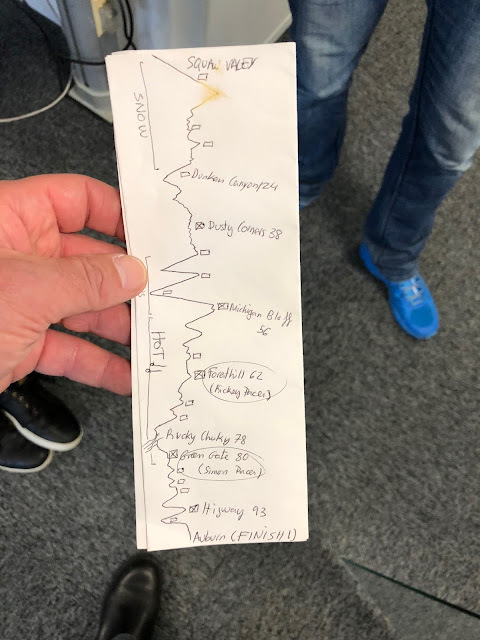 I believe Kilian raced in 000/108. The Sense features a map of the Western States course and the key checkpoints. The original map as drawn by Kilian used for the insole was kept in the glass case. it is below. But there is more to the story.. After showing me this beautiful shoe, Patrick made sure I heard the rest of the story. The Sense prototypes almost didn't make it to the starting line. It had a problem and a big one. 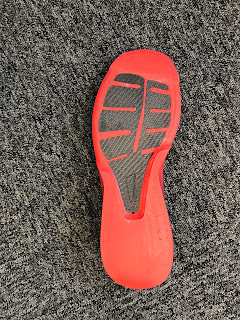 While Kilian had run up to 25 miles in the midsole, below right, it was when he went beyond that he got huge blisters at the medial side edge where the white firmer rock protection area met the red outer midsole. With one month to go to the race the S/Lab team had to find a solution. 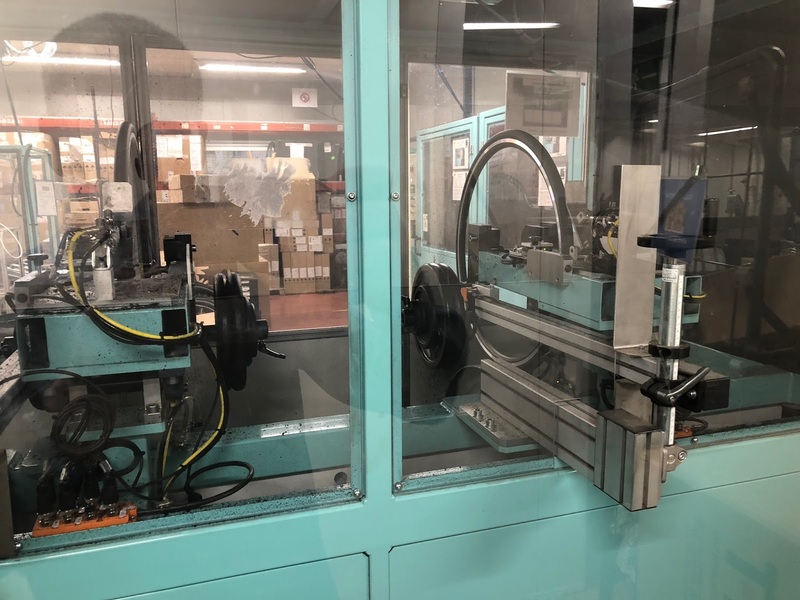 Given Salomon has in house, robotic, steel mold milling machines, I saw three or four of them working away, they carved out a deeper front cavity and placed the rock protection below a continuous layer of foam on a new 2 part insert, that new part also likely requiring a new mold to make it short order. The picture above's center midsole shows the new softer surface under foot and in the picture below also center with the insert flipped over how it looks from below at the Pro Feel level. It sounded like it was quite the rush but they got it done in time for the win! It was quite the experience for this shoe and run geek to visit the heart of Salomon and their amazing facility, process, and people. The cross sport and cross discipline, business, technical, athlete and production collaboration under one roof, the research and production resources, the understanding and listening to athletes and then being able to "go out back" and produce on site is I am sure quite unique in sport and a key to their innovative products, quality, and success. We focused on running and skis in our visit but the same process and resources are used for apparel and gear as well. Stay tuned for an article on the Golden Trail Series sponsored by Salomon. Top 10 men men and women before the finale race each get 5000 Euro to go to the finale plus can take a friend, both with expenses paid. All competitors must agree to extensive health and anti doping control before and after each race. The health and anti doping program has a 80,000 Euro budget. Greg told me the sign ups are very strong with over 170 of the world's top trail racers coming, including 16 from the US. Many Thanks to Greg Vollet and Patrick Leick for the marvelous tour and experience! Great feature Sam. Nice to hear the trials and tribulations of bringing successful shoes to market. Amazing! What an opportunity to get such an depth tour of their facility, they are doing amazing things there, love it! Fantastic insight into the company and amazing athletes, thank you! The only gripe as a reader is that the article would have greatly benefited from proof reading and basic spellchecking. I just got a pair of Salomon RA Max and love them. I just saw a video on what is called the Salomon Trailster. It looks like the RA with trail sole. 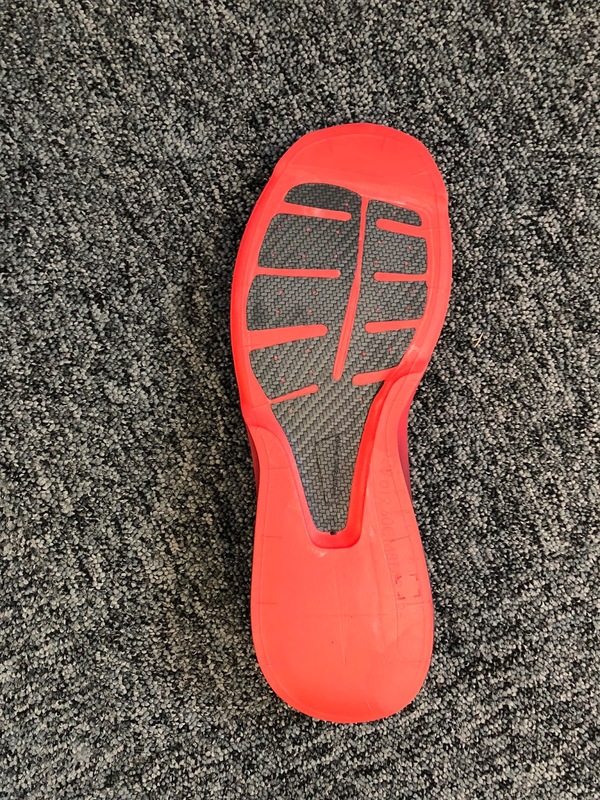 Can you find out more about this shoe? When will it launch. Im in. The YT appears to have been shot at The Running Event. It was not a shoe Salomon showed me. I have inquired.